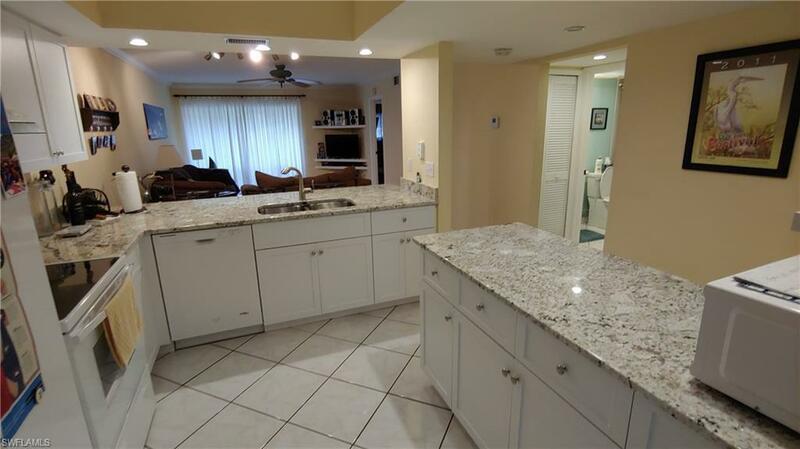 This 1st floor unit has been remodeled with newer kitchen and master bath. New tile in bedrooms. All appliances are 3 years old and a newer AC. Canal view of the water from tiled screened lanai. 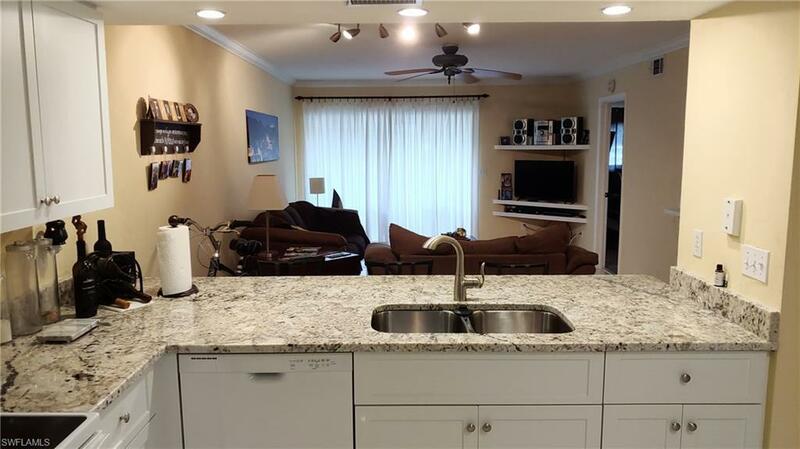 Open Kitchen with eat on counter. The master bedroom has sliders to the lanai. Guest bath complete with combination tub/shower. Washer and dryer in the unit! Enjoy the pool and heated spa. Boat dockage available on 1st come, 1st serve basis. 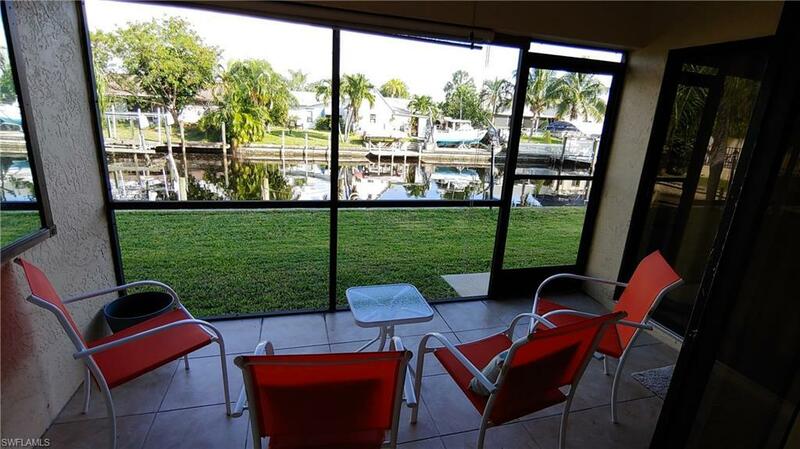 Located just off of Cape Coral Parkway and the Bimini basin, close to restaurants, downtown night life, shopping and an easy drive to the beaches. 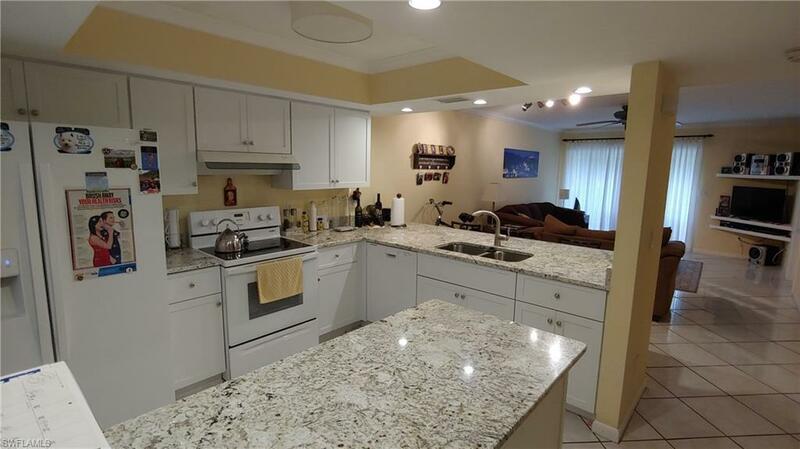 Furniture and furnishings are negotiable and can make this a turn key condo if buyer would like. Some personal pictures/wall hangings excluded. Listing courtesy of Mark Everson of Amerivest Realty.